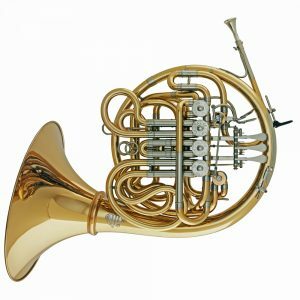 The triple horn covers not only the double horn (B / F) but also the high F horn within the same instrument. Compared to the low F horn, the high F horn is tuned up an octave due to the shorter tube length. This effects that the musician is optimal supported in very high passages and benefits from a more secure high position during concerts.